Hey guys, yesterday I wrote about our Garage Makeover still in progress. 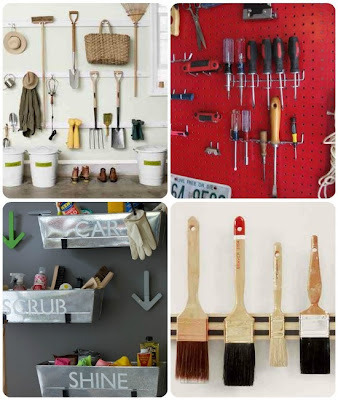 So today I thought I'd share some Garage Storage Inspiration via Pinterest. 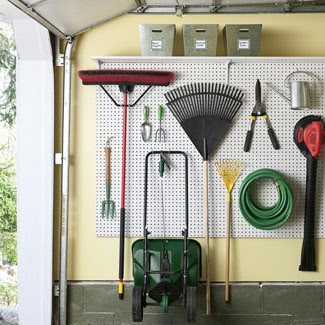 Ahhh, I love peg board storage...perfect for tools and smaller items. And this wood work bench above is great too. I also really like the look of stainless steel in a garage...I think we're leaning towards garage cabinets in SS. Oh the possibilities! Aren't great storage solutions fabulous? Thanks Jane....I agree, my hubby is definitely taking the lead on this one! 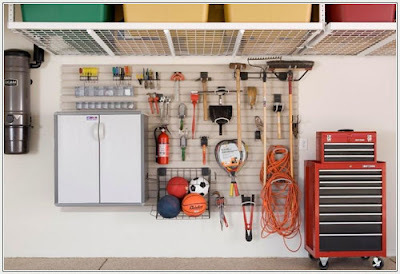 I so need to reorganize my garage this summer. 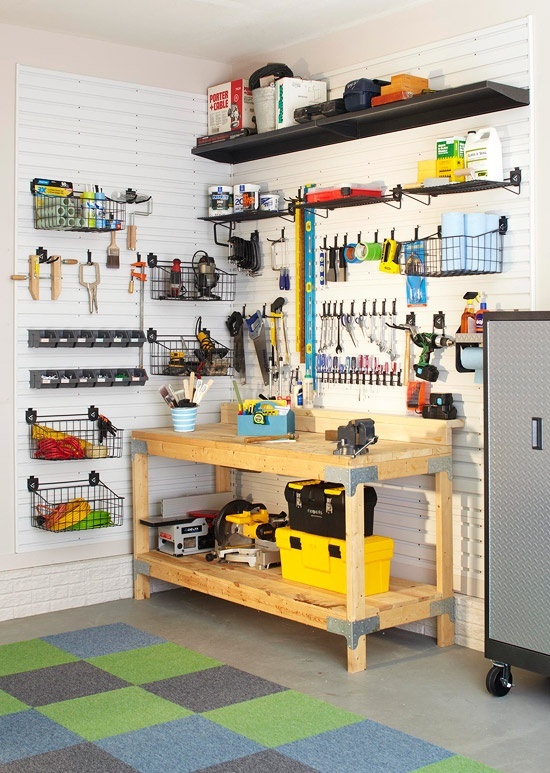 I already have the pegboard but it might be fun to paint it and do away with a lot of stuff that is hanging there. 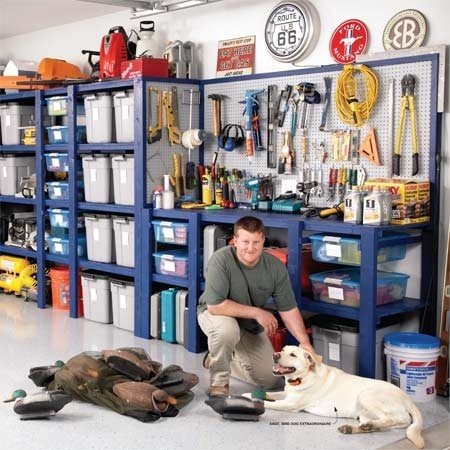 I am down to one rig so with a double car garage I should be able to get lots more storage areas. Thanks for sharing the pinterest ideas.